I'm just getting started - please send e-mail with photos, info, etc. 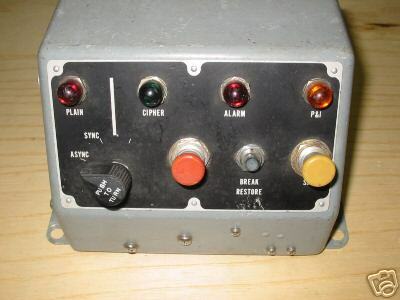 Mixes (binary add) input stream with a One-Time Key Tape (PYTHON). 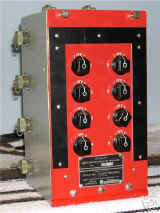 Requires PP-1646/UG power supply. Please let me know if you have a manual I can copy, or a unit I can buy. 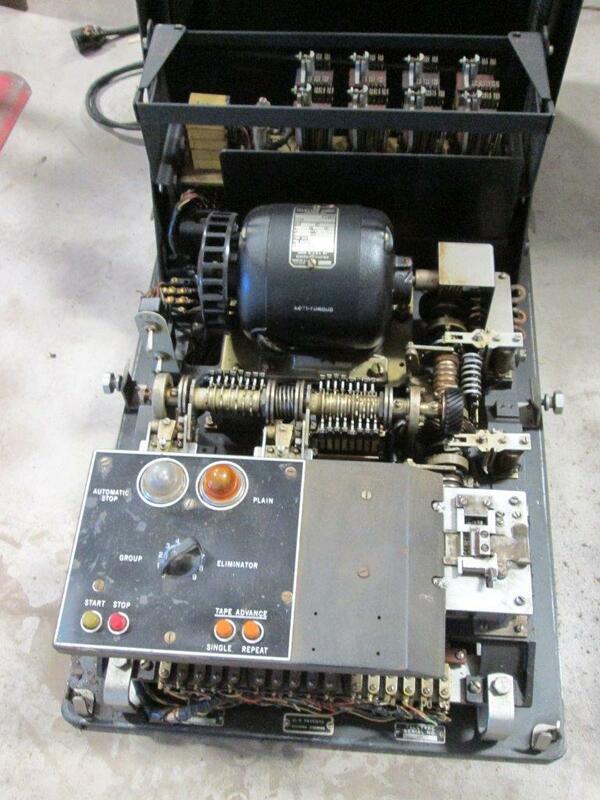 Teletype M14 TD variant used to read PYTHON one-time key tape - This RECEIVING TD operates slightly faster than a normal TD - 420rpm shaft speed but 368 opm (45.5 baud) line speed. This is necessary so that the key tape can always synchronize with characters from the source tape or keyboard. 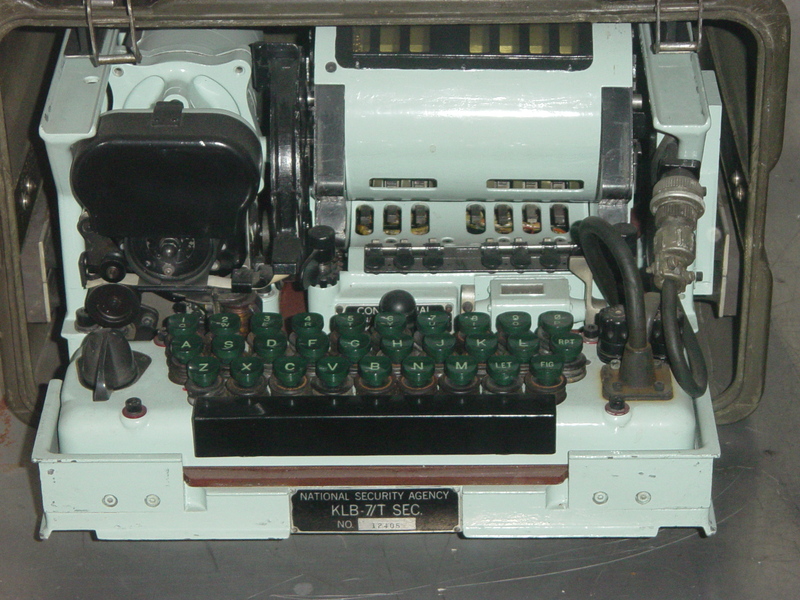 Used in AN/SGA-3 Converts KL-47 format output to 5-level TTY code. need info need photo "Short term message synchronizer for use with non-synchronous on-line teletype security equipment, such as AFSAM 9 and one-time tape equipments" 1956 cost $700 ea. 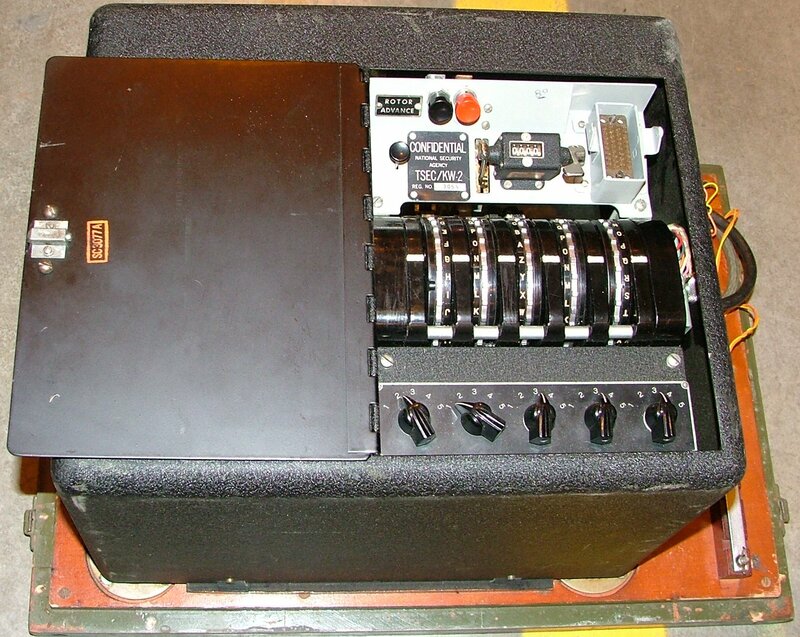 "HW-19D (Janized version) An on-line half-duplex, electronic mixer for use with teletype security equipment. Essentially radiation free." Data over Wire Circuits (DCS) Full duplex key generator for encryption of digital data. 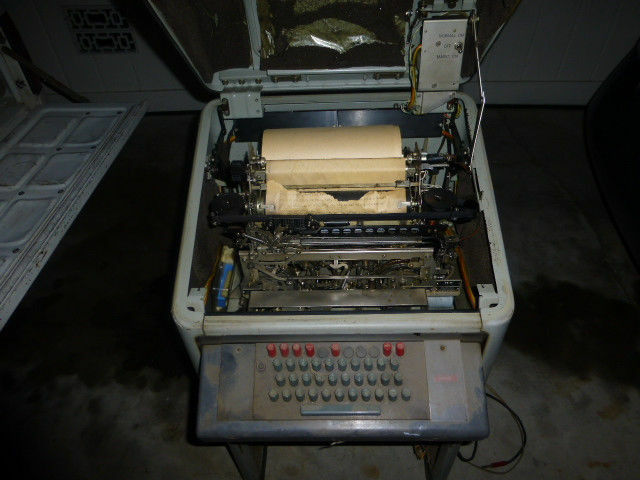 With various converter equipment handles digital voice, facsimile, computer data, and multichannel teletype. 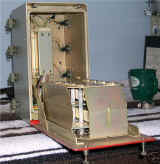 Consists of drawer assemblies from KG-3 and KG-12 equipments. 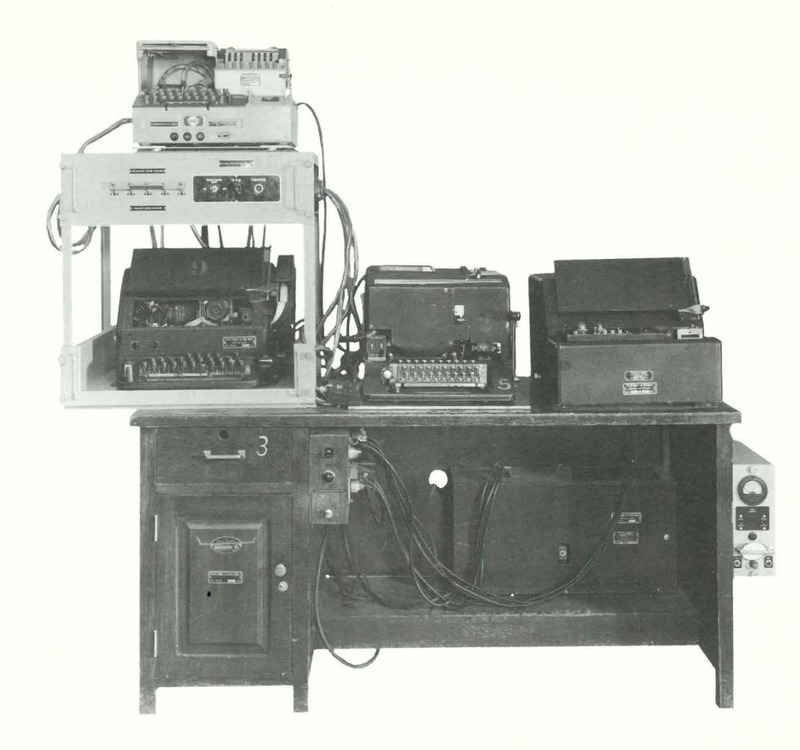 The full duplex equipment consists of 3 identical key generators, 2 synchronizers, an alarm assembly, and 2 power supplies. 0-100kc frequency range. 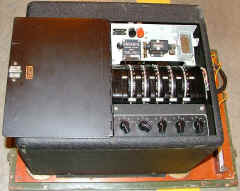 Used with HY-2 vocoder and other equipment for long haul voice which is extended to local subscribers by means of KY-3 equipment. 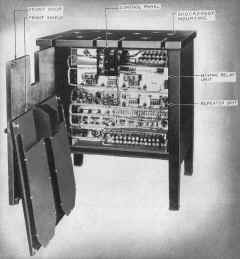 "Off-line, keyboard operated, literal cipher machine (36 pt rotors)"
Voice input from a special handset up to 6 of which may be used. 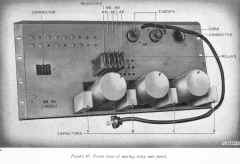 Vocoder has 8 spectrum channels and 1 pitch channel. Its output of AM pulses is time-multiplexed and digitalized into an 8 bit code at 1500 baud. 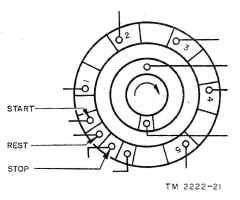 Crypto unit is an electro-mechanical Geared Timing Mechanism (GTM) using a photoelectric system with shadow-mask key disks. 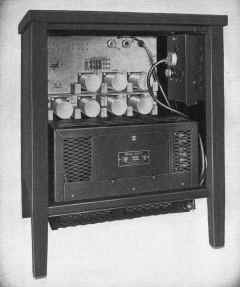 The self-contained 1500 baud frequency division multiplex system consists of six 250 baud FSK information channels and 1 sync channel. The required bandwidth is 3kc. Combination of Key and Plain Text is performed in an associated mixer (such as AN/FGQ-1 above). 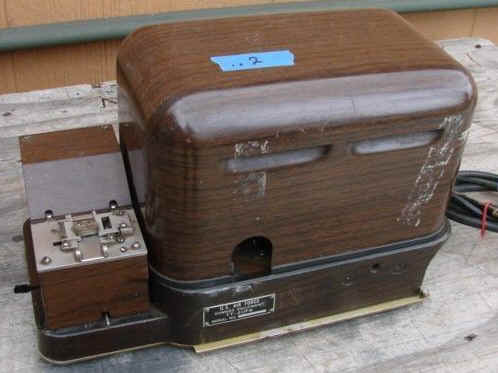 Accepts 32 characters from remote teleprinter at 60wpm. Wired-rotor maze with integrated stepper mechanism. Maximum length of encipherment is 6000 characters off-line or 12 hours operation on-line. 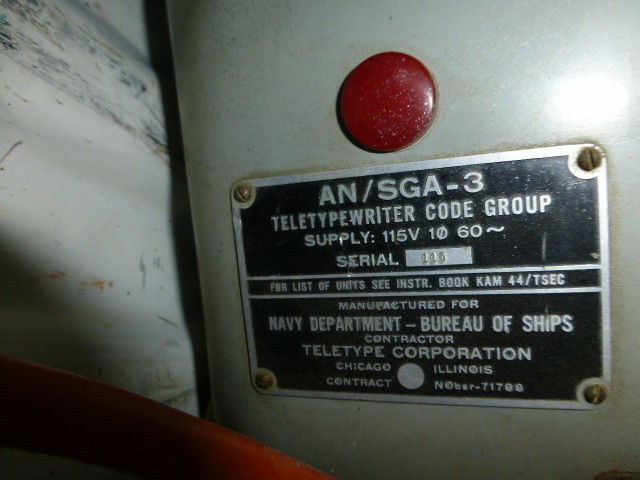 "Teletype security equipment for use with AN/FGC-5 electronic multiplex communications equipment." 1953 Development Info - AFSAM D22 - Electronic key generator designed for use with the AN/FGC-5 Electronic Multiplex Equipment. 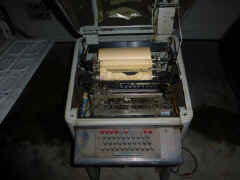 Enciphers the output of the AN/FGC-5, which accepts 32 characters from remote teleprinters. 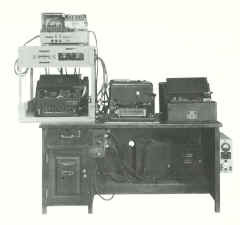 Capable of two, three or four channel operation. Provides traffic flow security. 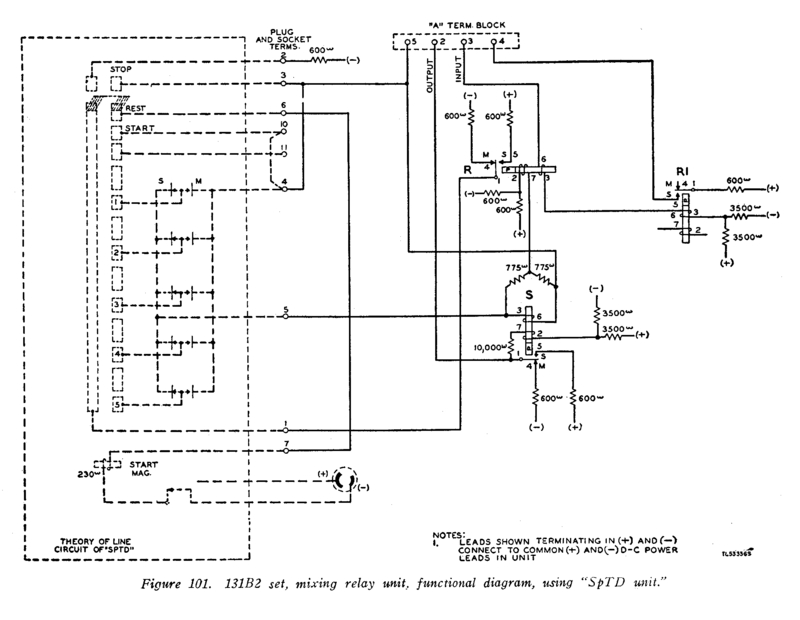 Crypto-unit, which has been recently changed, supplies an additive binary key derived from a 53-stage Koken and associated combining circuits. 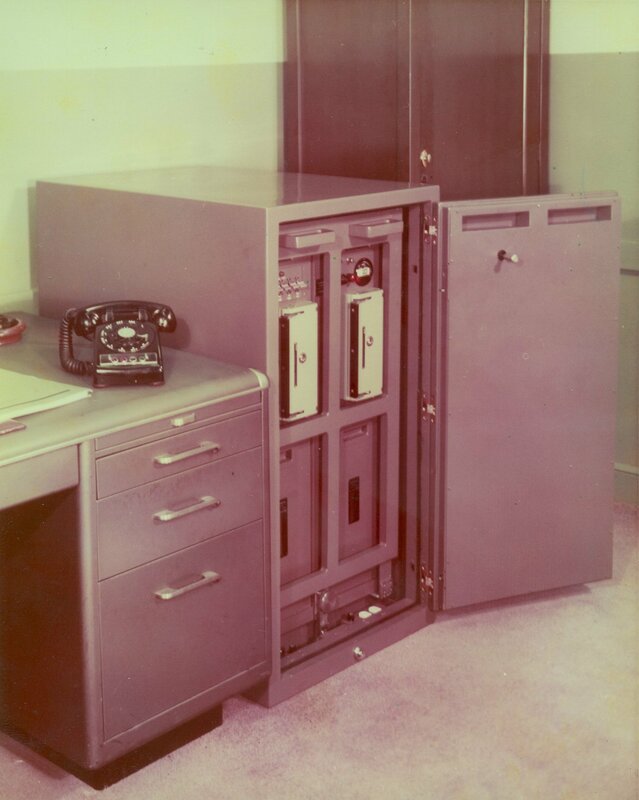 Crypto-period set-up will be made from a Remington-Rand (or possibly IBM) card. Size and Weight 2 units, each 4' x 2' x 2'; total weight 500 lbs. Development Status - Development model has been completed and tested. An 18 month contract was awarded in May 1953, for the completion of a design approval model by February 1954, and pre-production model by November 1954. 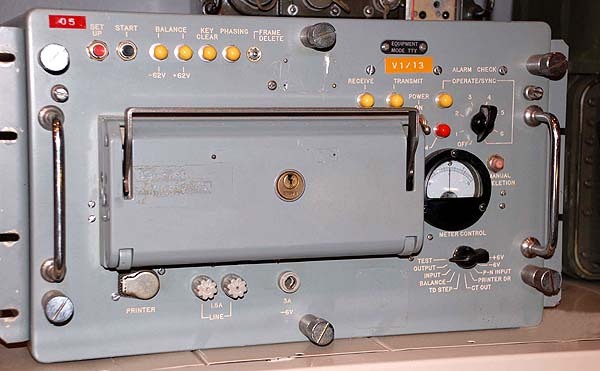 "On-line, fully synchronous single channel teletype security equipments (60-100wpm speed)"
1953 Development Info - AFSAM D26 - Single channel synchronous equipment; accepts 31 characters (excluding blanks) from remote teleprinter. 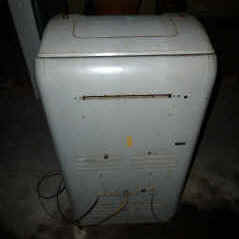 Operates at 60 or 100 words per minute and provides traffic flow security. 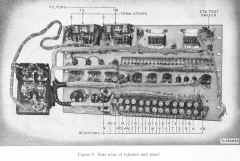 Crypto-component supplies an additive binary key derived from a 53 stage Koken and associated combining circuits and includes means to prevent the reading of messages in depth. 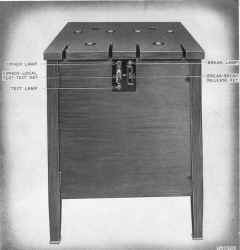 Crypto-period set-up will be made from a Remington Rand (or possibly an IBM) card. Size and Weight: One 6' x 19" rack. Development Status: One engineering model of the transmit terminal is almost complete and construction of the receive terminal is underway locally. need info need photo "50 KC, single channel, pulse code modulation voice security equipment for use over an "N" carrier channel" 1956 cost $18,500 ea. 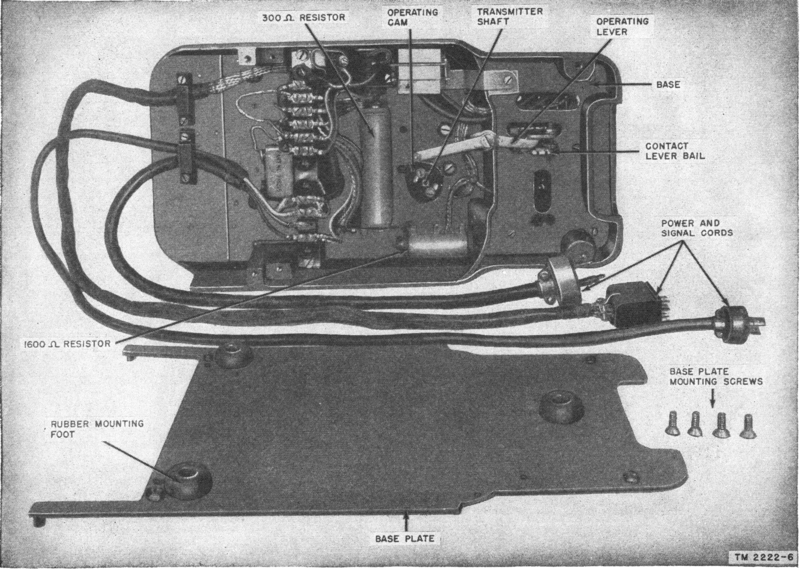 Jerry's KY-9 page Used for High Command Joint Circuits. 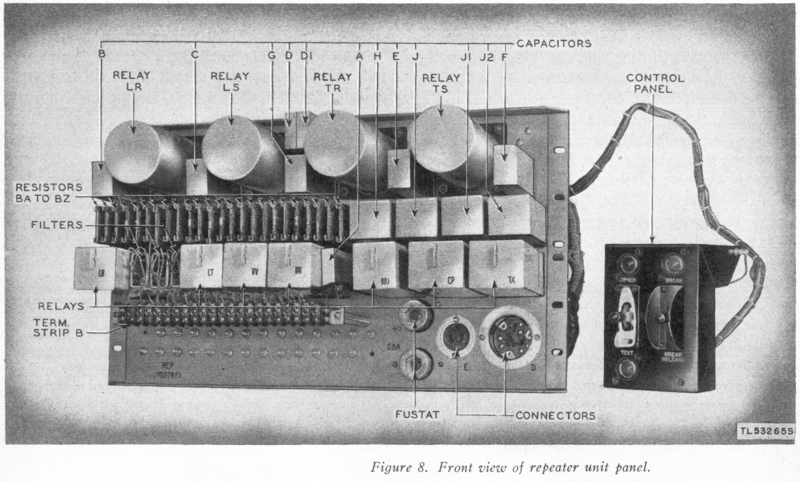 Transistorized, half-duplex, narrow-band speech system. 1650 baud, 3kc bandwidth. 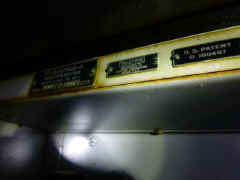 need info need photo "A fixed plant black-white facsimile equipment. 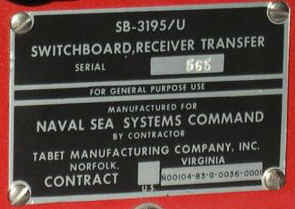 Additional equipment such as the AFSAZ D7300 or AFSAZ D7306 is required for radio or wire transmission" 1956 cost $20,000 ea. Consists of CY-2245/FGA-2, C-2273/FGA-2, PP-1646/UG, and Repeater-Mixer SSM-33. Used with CSP-2699 and TSEC/KW-2. These photos are from the offline crypto area at NAVCOMMSTA Greece. Please send email if you have any info or photos. 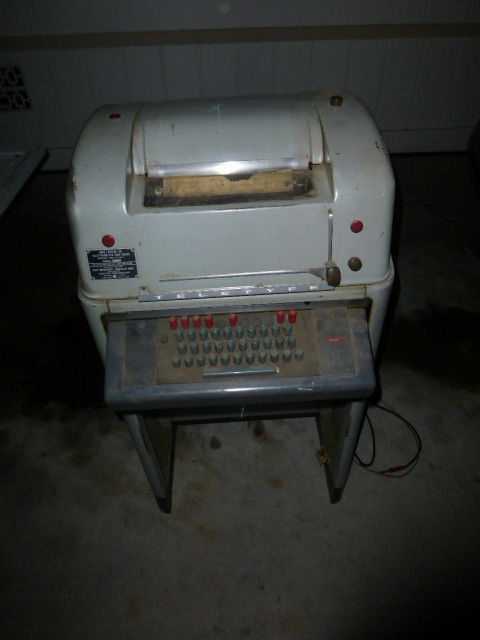 What is a Teletype Type 58 TD? 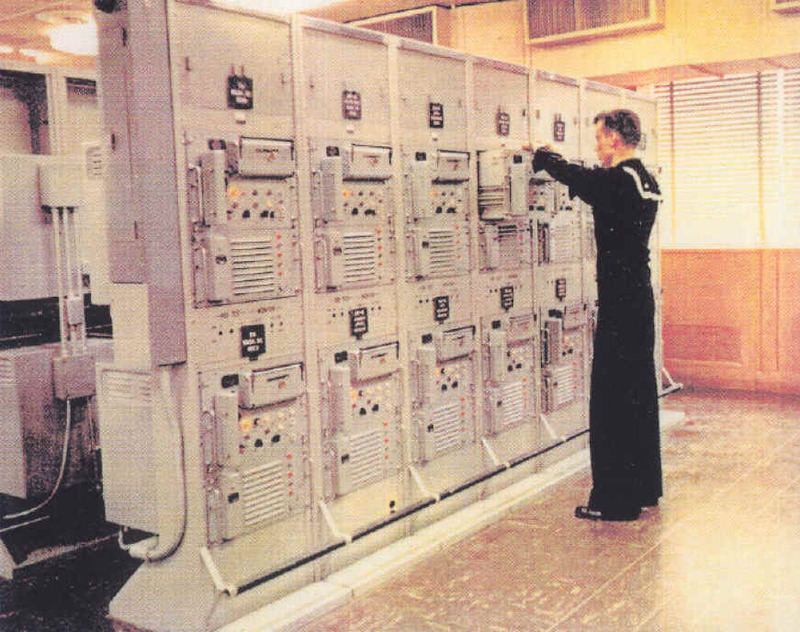 TTY system (off-line) for use with classified communications equipment. Consists of XMTR DISTR, Rack, MT-1679/SGA-1, CSP-2699, Switching Unit, CSP-3333, Power Supply, CSP-3334, TTY TT-69A/UG, REPERF TT-159/FG, Mixing REPEATER Unit SSM-3, XMTR DISTR TT-57/UG. 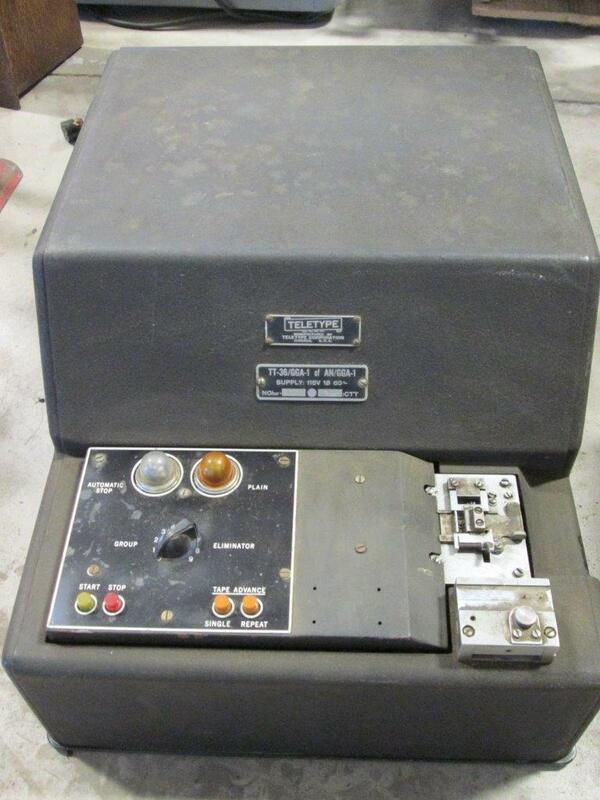 This EQUIP is for the TTY system (off-line) for use with classified communications equipment. No other information available. 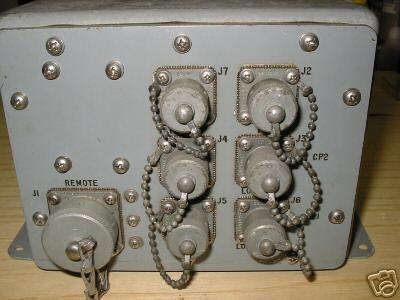 Complement data is the same as AN/SGA-1, except this set uses the MT-1680/SGA-2 instead of the MT-1679/SGA-1 and the SSM-33 instead of the SSM-3..
Off-line TTY code group for use with classified communications equipment. 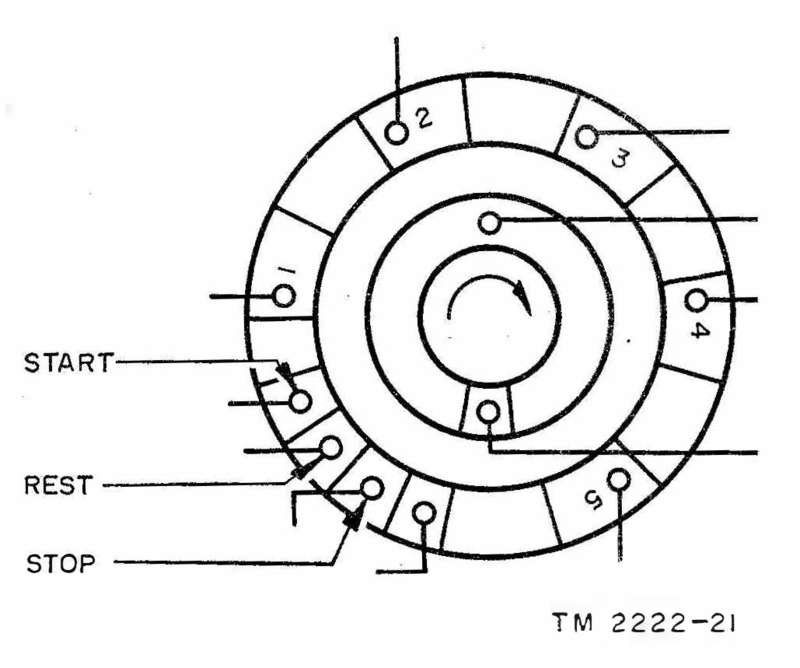 AN/SGA-3 is used with, but not part of, TSEC/KL-47 or TSEC/KL-29. Consists of Control Converter TSEC/HL-2, PERF-REPERF TT-253/UG, Tape Reader TSEC/HL-1B, Power Supply PP-1767/UG, TTY TT-234/SGA-3. 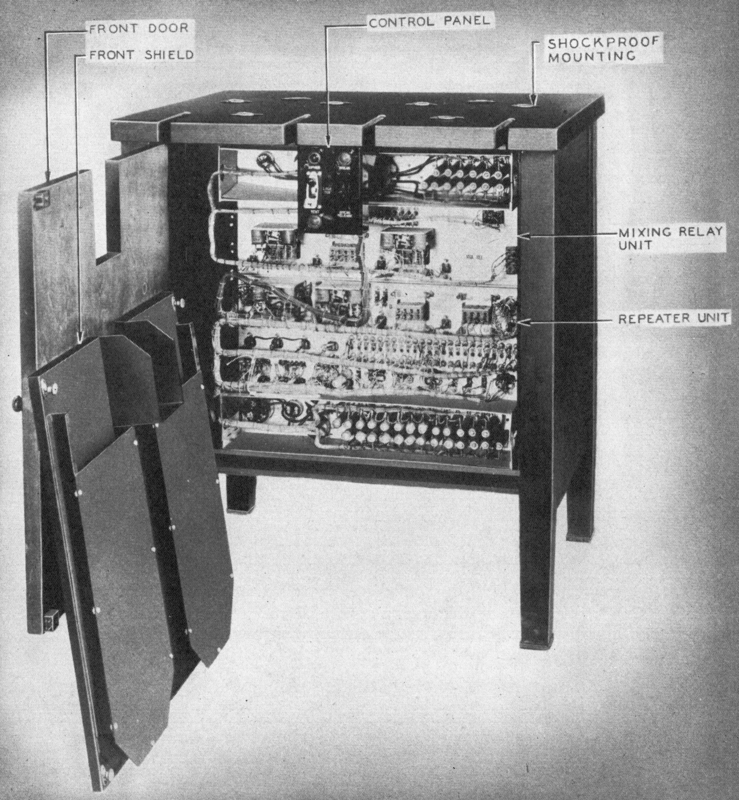 A configuration of teletypewriter and ancillary equipment designed expressly for shipboard use to provide for automatic off-line encryption and decryption of teletype traffic. 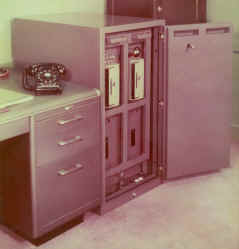 The cryptographic keying variables are determined by the rotor maze of the associated cipher machine. 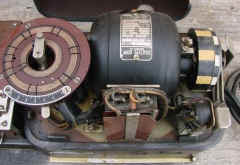 Perforated tape previously prepared from incoming radio teletypewriter or CW circuits is fed into the tape reader which actuated the pre-set cipher machine. 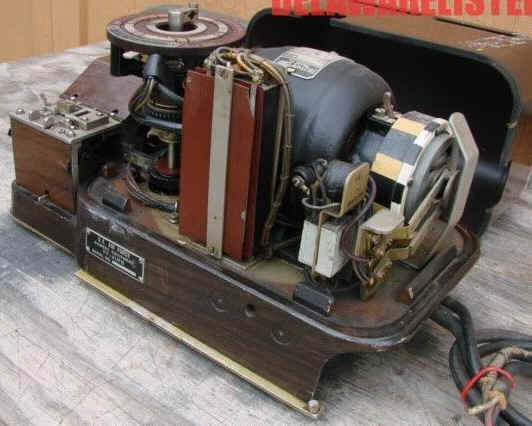 Output of the cipher machine is converted into teletypewriter code signals by the code converter whose output provides pulses which are used to produce a page copy or a reperforated tape or both. 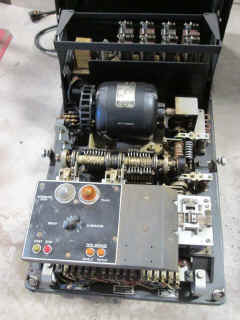 The speed of operation is 50 baud. Specifically designed to process classified messages automatically on an off-line basis. 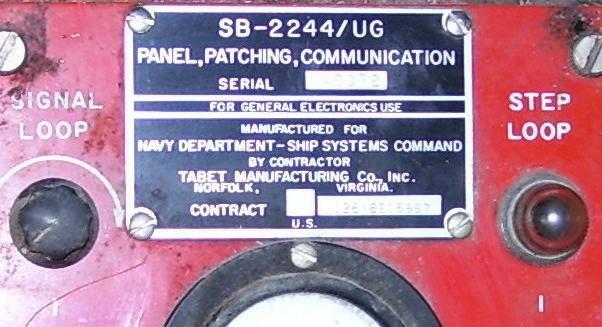 AN/SGA-3A is used with, but not part of, TSEC/KL-47 or TSEC/KL-29. Consists of Control Converter TSEC/HL-2, Tape Reader TSEC/HL-1B, .Power Supply PP-1767/UG, TTY TT-234A/SGA-3, Typing Reperf TT-159/UG. 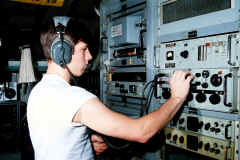 Provides mounting facilities for accommodating the various units in a compact set for operational passing and handling of classified communications traffic. 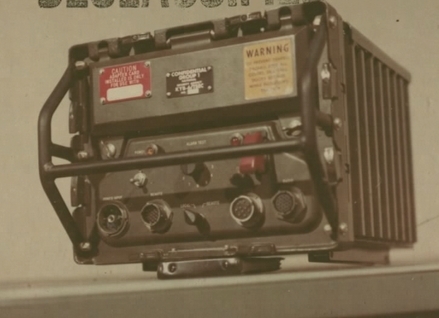 Specifically used in classified communications centers with on- and off-line circuits in handling traffic. Used with XMTR DISTR CSP-2699 (2 each). Consists of 2 ea TT-57/FG; 1 ea TTY Mixer SSM-33;. 2 ea. PP-1646/UG; 2 ea MT-1951()/SGA-4; l ea. 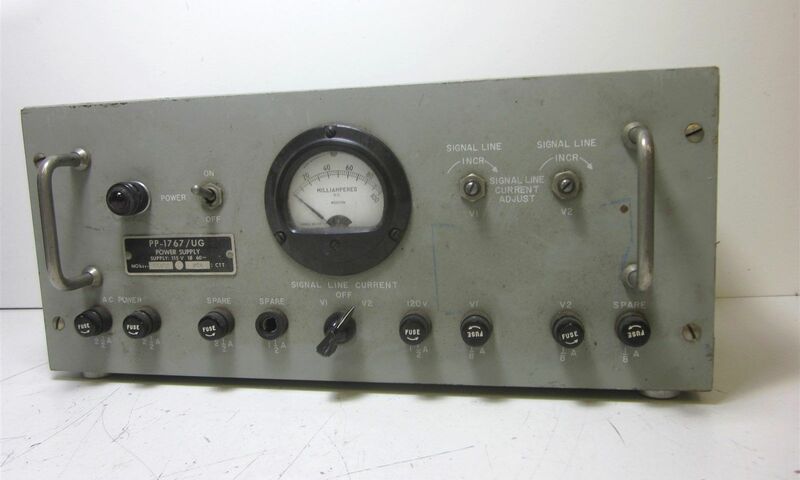 MT-1952()/SGA-4; 2 ea TT-69A/UG or TT-176/UG; 1 ea TT-159/UG; 1 ea TT-103/FG or TT-159/UG with table (TTY Model XRT 119); l ea C-2192/UG; 1 ea SA-561()/UG; 1 ea SB-6/GG. FUNCTIONAL DESCRIPTION The AN/UGA-1 is designed to accept multiplexed output of sixteen (16) channel multiplex equipment and divides it into sixteen (16) separate channels which are synchronously related to each other. 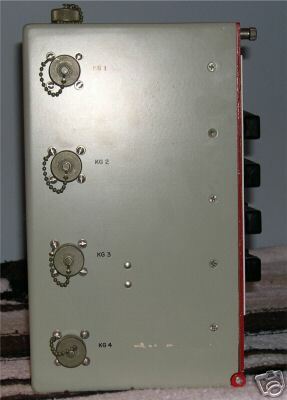 Output on each channel is in six (6) unit synchronous signal. The receive portion of the equipment performs companion function. 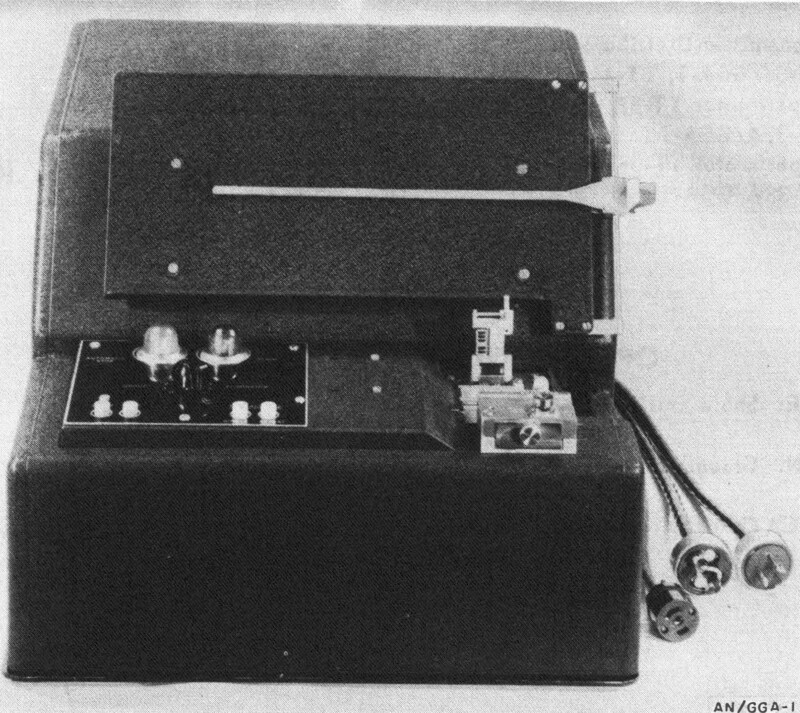 RELATION TO OTHER EQUIPMENT The AN/UGA-1 is designed to be used with but not part of AN/UGC-3() for use on frequency division telegraph systems. TYPE OF DIVISION: Time-division type. 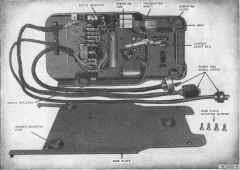 TYPE OF ACTUATION: DC actuated. NUMBER OF WORDS PER MINUTE: 60, 75, 100 words per minute per channel. RELATION OF CHANNELS INPUT AND OUTPUT: The 16 channel inputs and outputs are synchronous in nature and are synchronously related. The AN/UGA-1 is for specific use with terminal set AN/UGC-3 in a fixed-station operation. 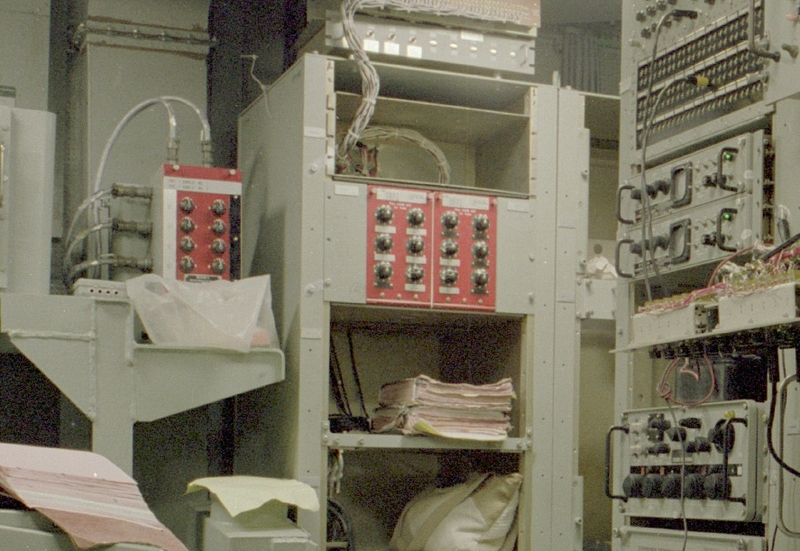 The transistorized AN/UGA-1 provides facilities for the operation of AN/UGC-3 with radio equipment AN/FGC-29. 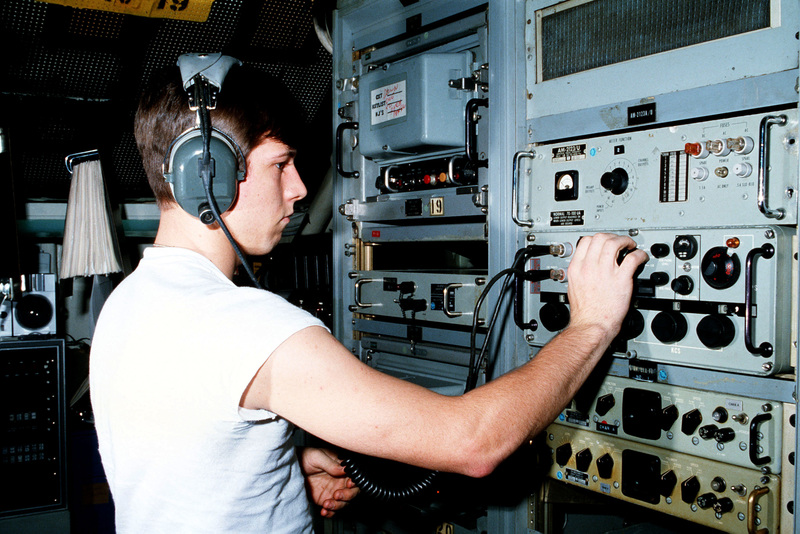 The transmitting group accepts a neutral sequential signal of information such as provided by the 16-channel AN/UGC-3. The sequential signal is then converted, and re­transmitted in 16 individual channels of information and combines them into a neutral sequential signal that can be utilized by the AN/UGC-3. AN/UGA-1 can change a high speed sequential signal into multiple low speed signals that can be transmitted over conventional radio TTY facilities, in addition to receiving circuits for converting multiple low speed signals into a high speed sequential signal. 16 ea. 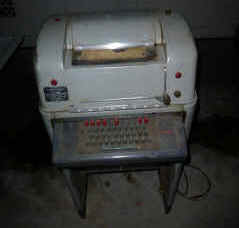 Input Code Converter CV-1029/UGA-1. Power input: 115 V±10% , 50/60 cps ±5%, 1-ph, 1. 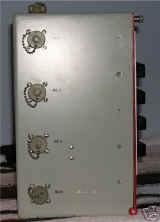 6 amps, 140 W.
For use with standard 60-speed TTY XMTR-DISTR's. 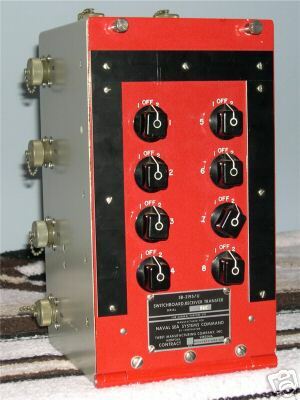 FUNCTIONAL DESCRIPTION: The Telegraph Terminal Set AN/UGC-3 is a transistorized, sixteen (16) channel, time division, multiplex equipment for fixed station installation. 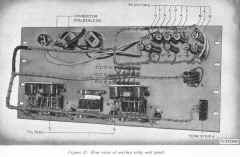 A complete set consists of a transmitting and receiving group. 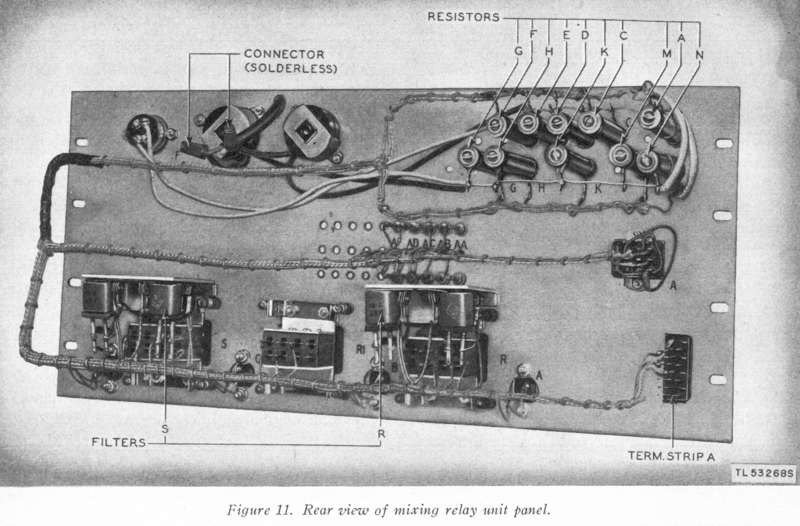 The transmitting group accepts neutral, start-stop signals from up to 16 separate circuits and assembles them in sequential order for multiplex transmission over a single circuit. 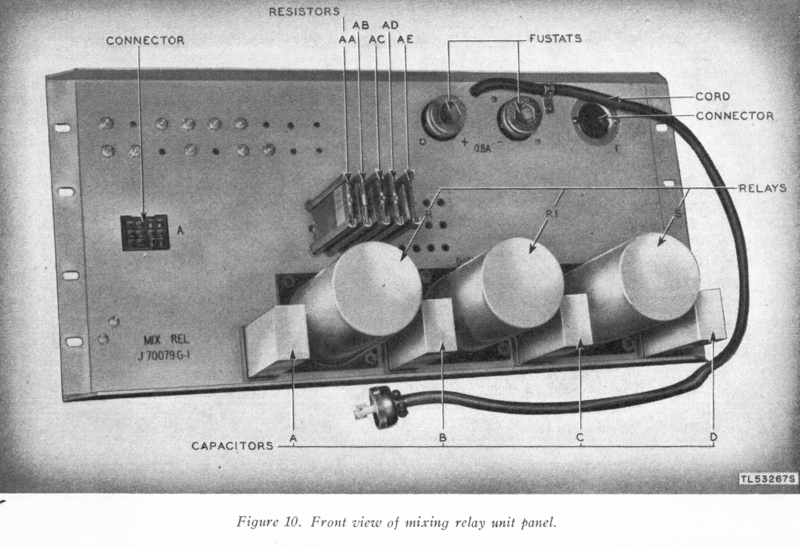 The receiving group accepts multiplex signals from a distant source, converts them to start-stop, and distributes them to 16 separate circuits. Signals are received from a number of start-stop teletypewriter circuits, stored, and transmitted over common channel. 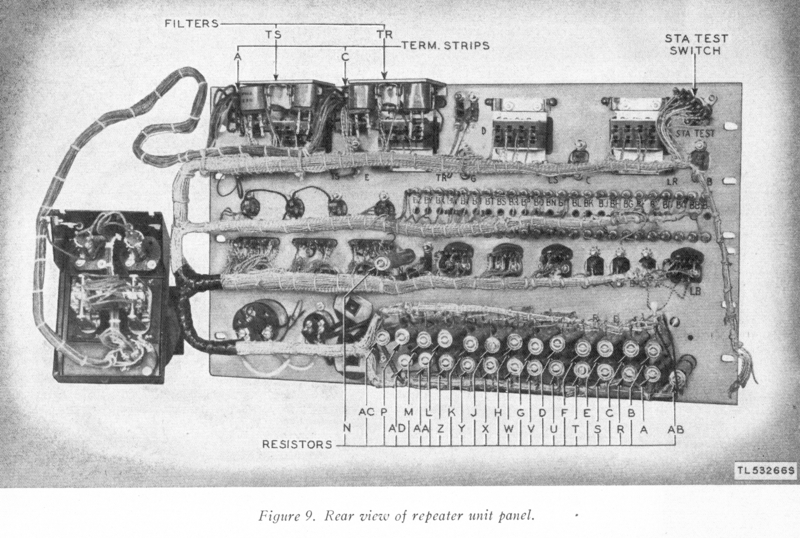 In this process, the message characters from the start-stop circuits are com­pressed in time so that a character from each of these circuits is transmitted in the time normally required to send one character from a single circuit. The receiving multiplex terminal sorts the compressed signals into their respective circuits and regenerates them into normal length start-stop characters. 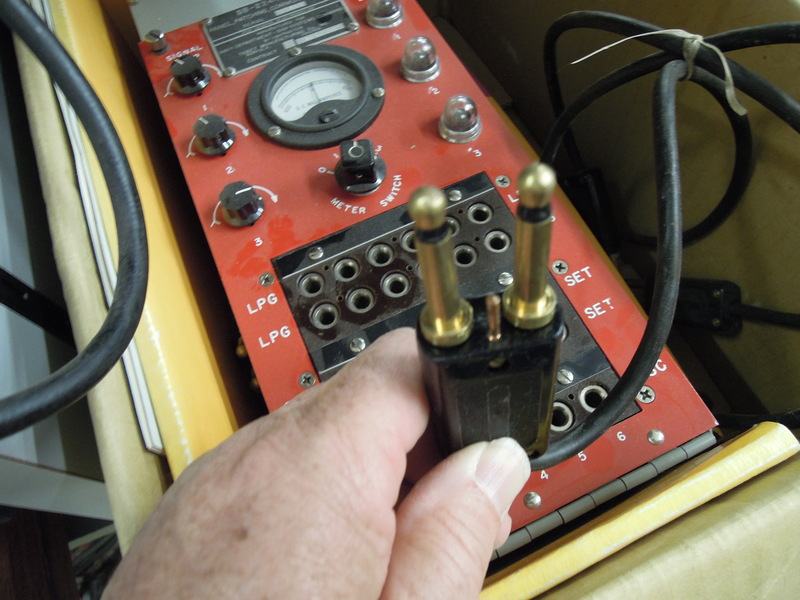 Adjacent siting of the receiver and transmitter group permits use of the built-in test equipment in both. TYPE OF MULTIPLEXING: Time-division type. TYPE OF FREQUENCY CONTROL: Temperature controlled crystal oscillator. REPETITION RATE: 60 wpm-440 pps; 74 wpm-562.5 pps; 100 wpm-733.69 pps. 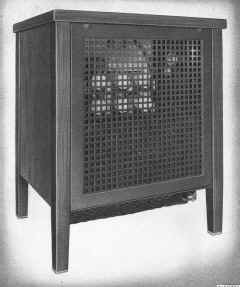 NUMBER OF CHANNELS: 4, 8, 12 or 16. RELATION TO OTHER EQUIPMENT: In four channel operation, the multiplex signals of the AN/UGC-3 are completely compatible with those of AN/UGC-1 at all speeds and with the AN/FGC-5 at 60 & 75 words per minute. 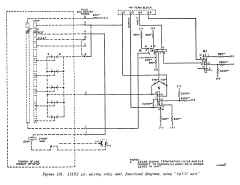 Any standard apparatus using a 7.42 unit code may be employed in the start-stop circuits. 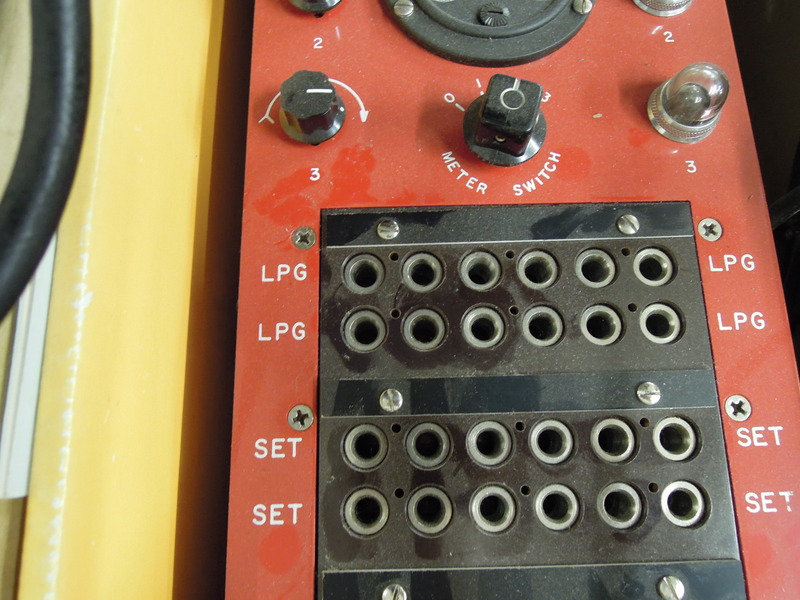 All start-stop equipment must have the same operating speeds of 60, 75 or 100 words per minute. 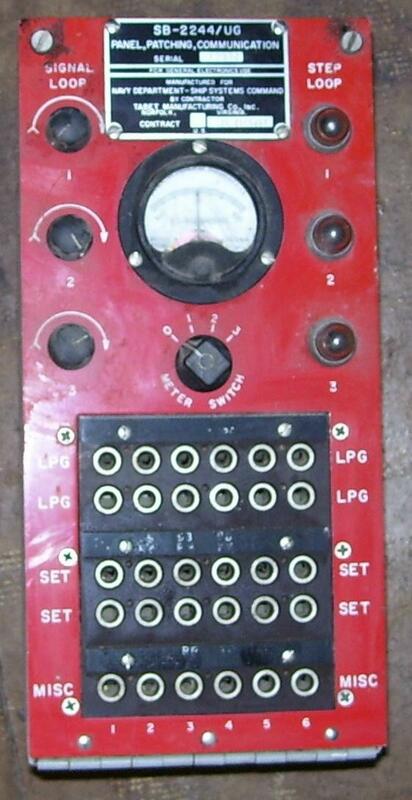 The AN/UGC-3 is designed to be used with, but not part of AN/UGA-1. 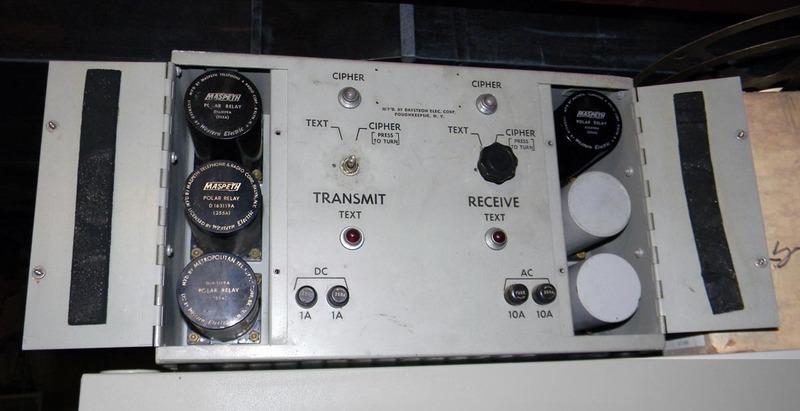 AN/UGC-3 is a transistorized 16-channel TTY time division multiplex equipment utilizing components and techniques used in the 4-channel equipment (AN/UGC- 1). 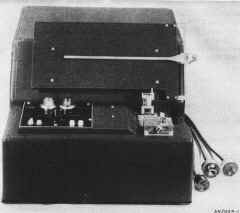 Used with radio or wire link, and AN/UGA-1. Channel speed: 60, 75, or 100 WPM. Power required: 115 v, 60 cps, 1 ph. Single-channel time & frequency multiplex for immunity to multipath and fading. 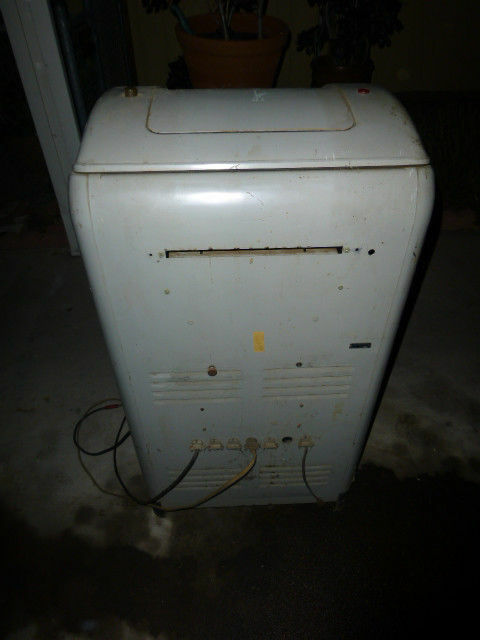 Please send me e-mail with any info about how this was used. 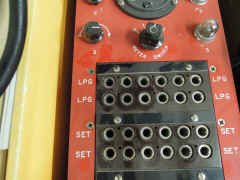 Channels 1,3,5 have TTY current control and metering - Channels 2,4,6 have associated "STEP LOOP" indicators. The STEP signal releases the next character from a TD under timing control of the crypto gear. The special patch cords are dual cords with a pin that matches the hole between the jacks - this prevents getting TTY and STEP signals crossed. 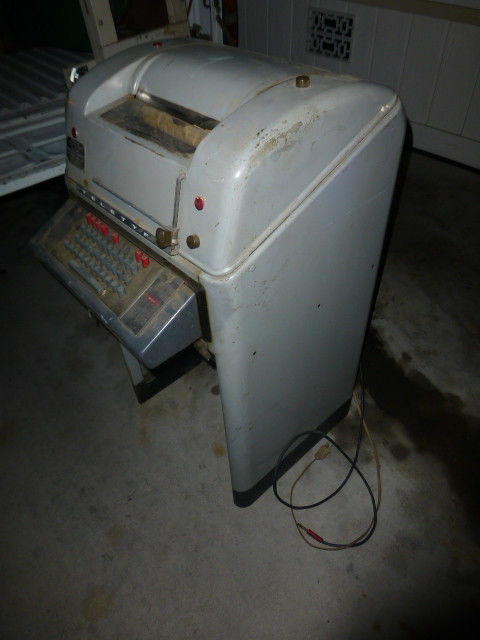 Note - as of 5/2013 Fair Radio has this one unused in the box for sale - with manual and patch cords.